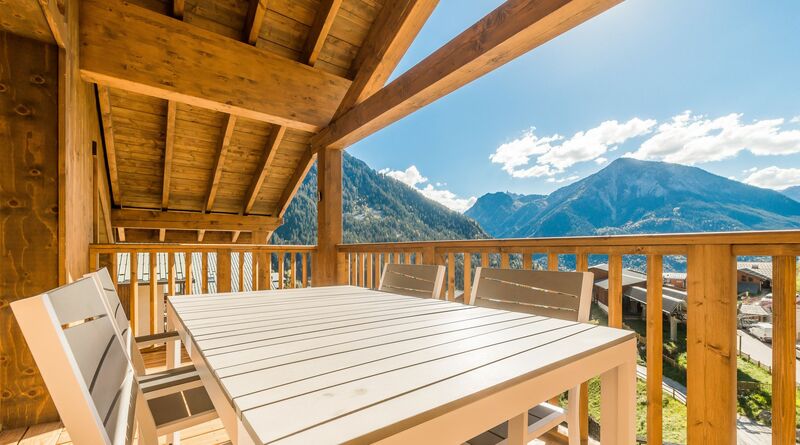 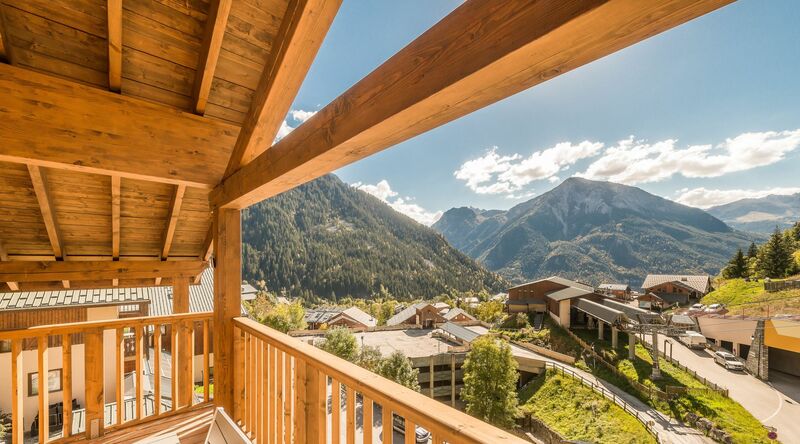 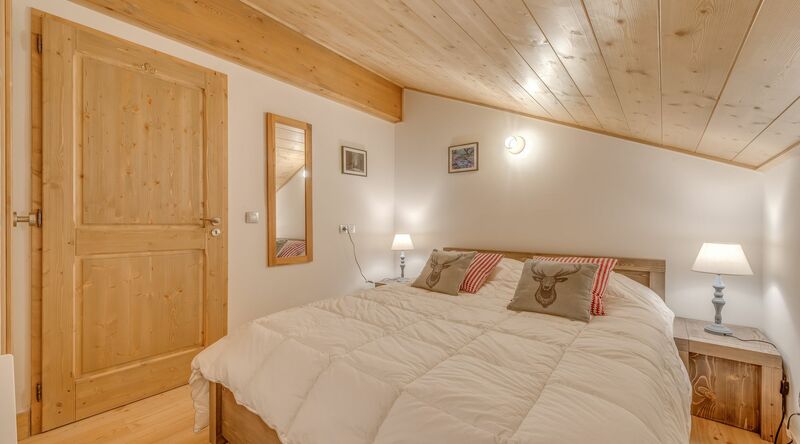 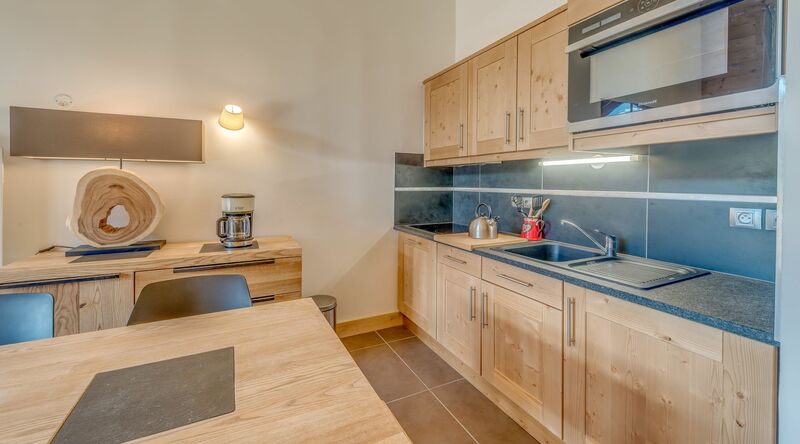 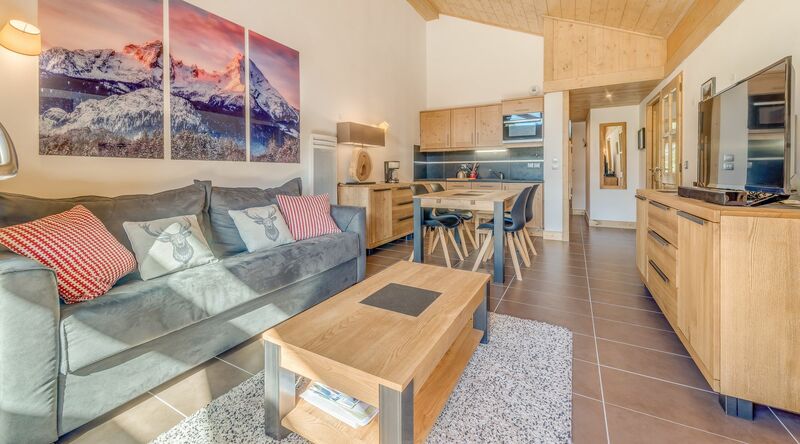 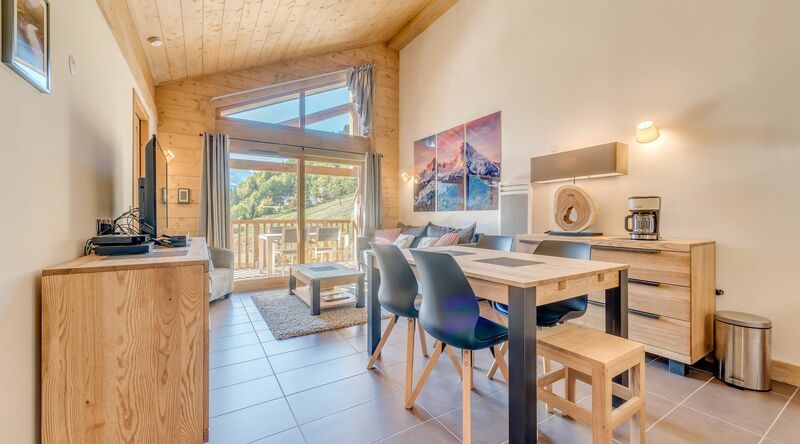 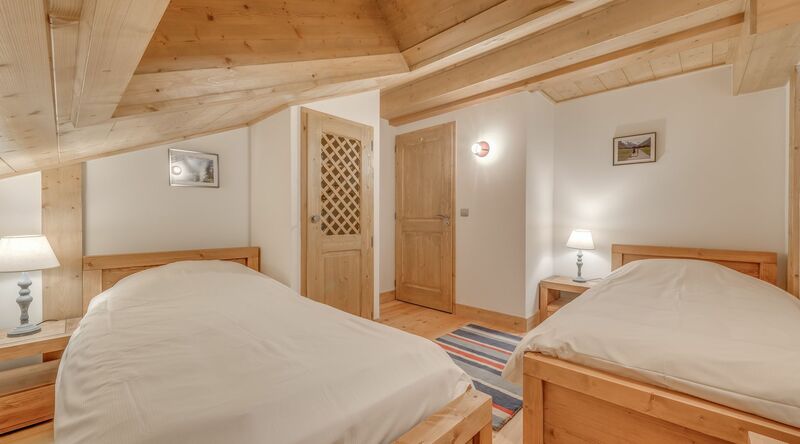 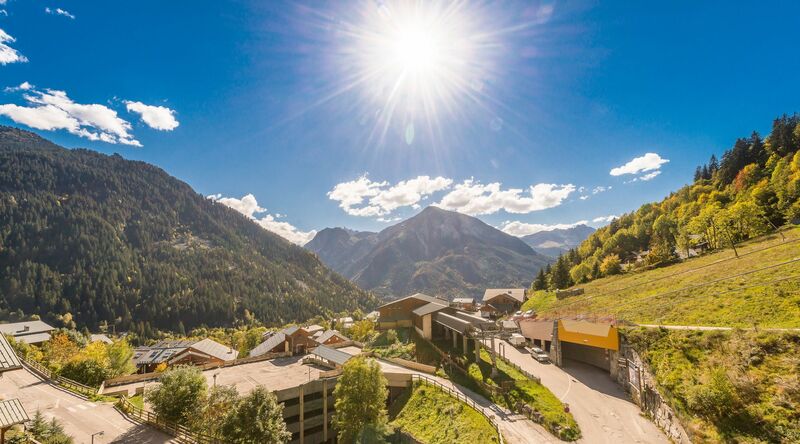 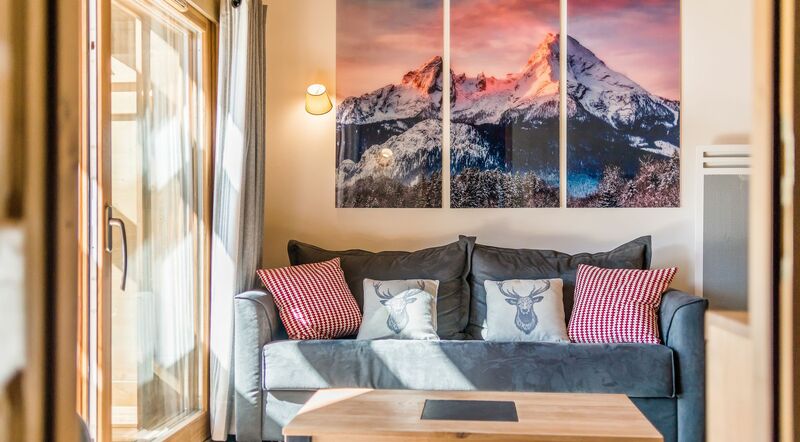 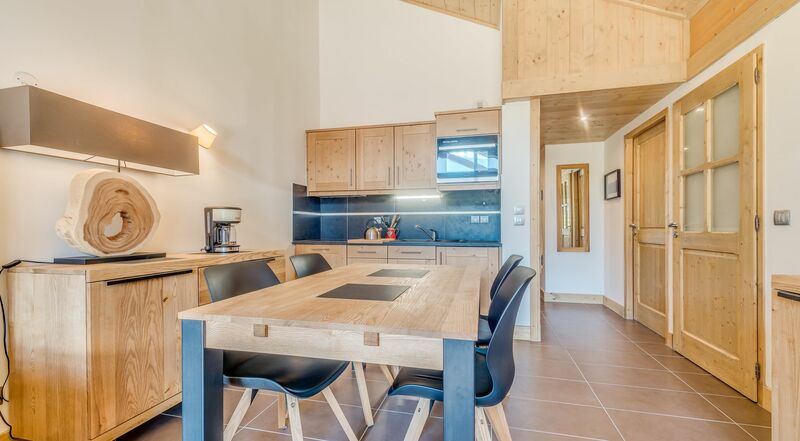 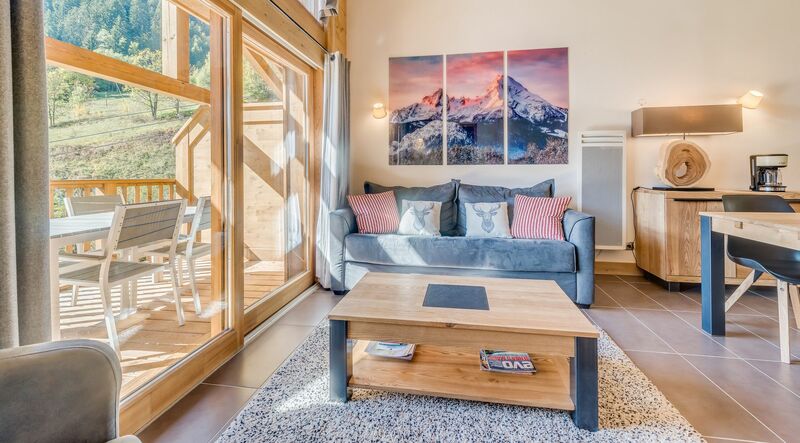 Composed of 2 large chalets, the residence "Les Balcons Etoilés" is oriented South & West, 20m from the cable car departure and ski lessons and 100m from the shops and the heart of the village. 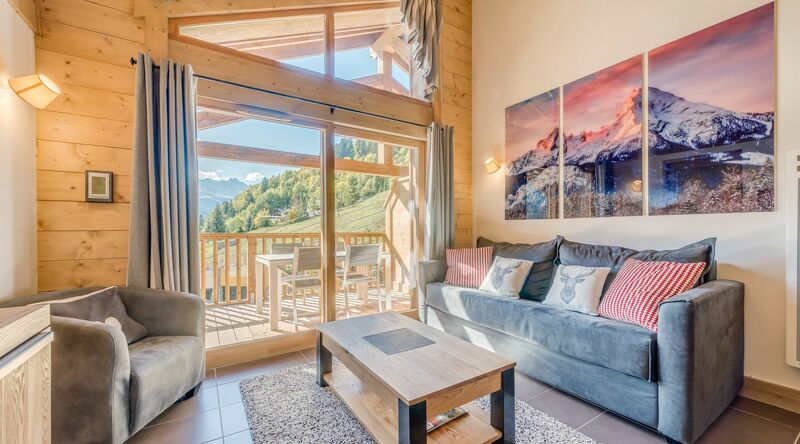 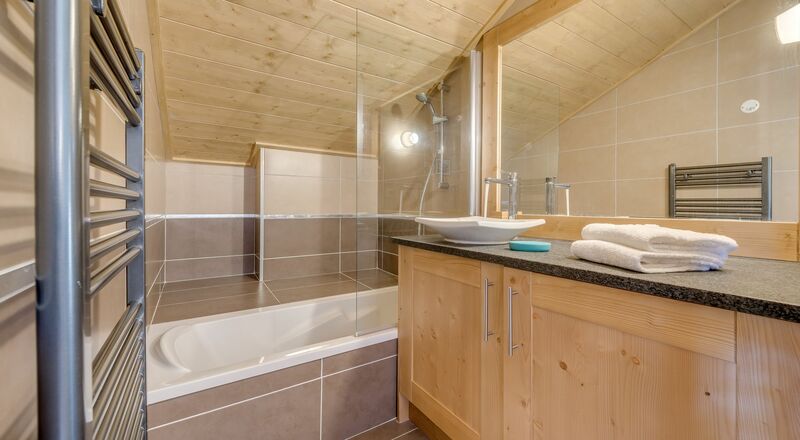 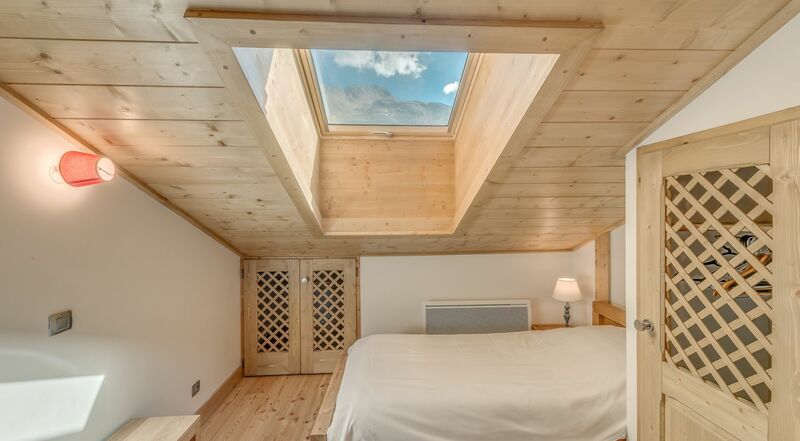 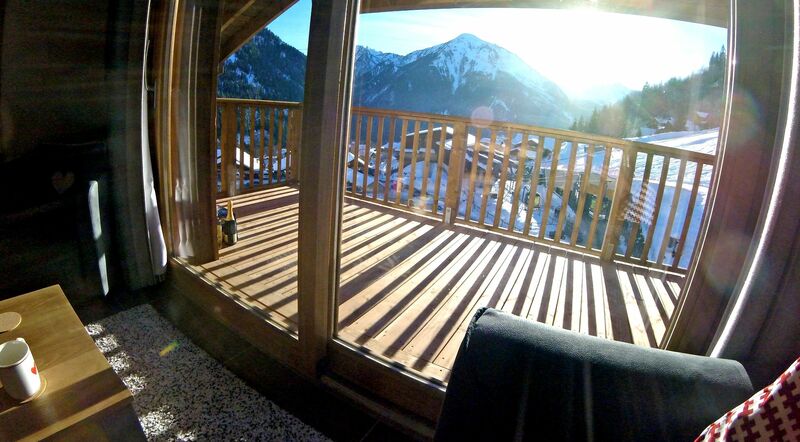 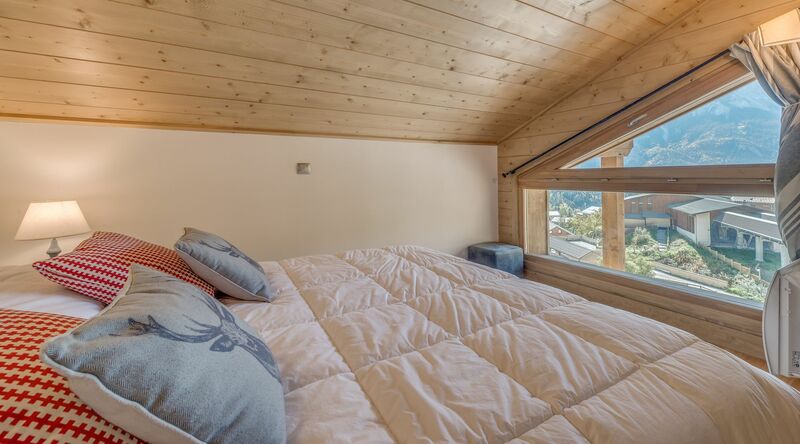 You benefit from a splendid and clear view on the village and the massifs of the Vanoise. 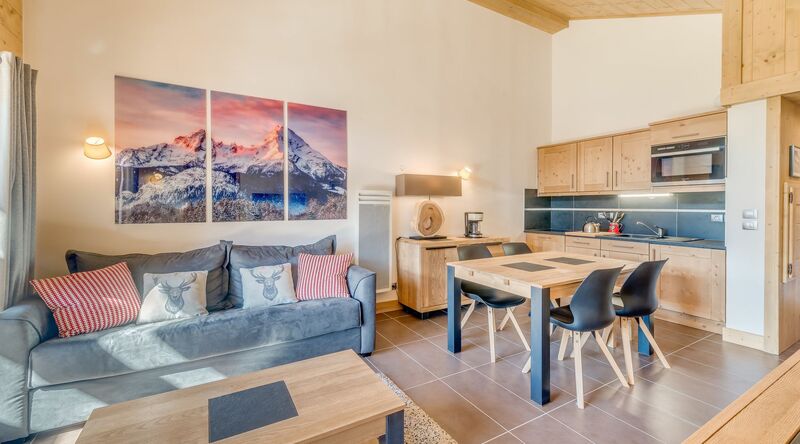 The apartment is composed of a living room with balcony facing south and west, a fully equipped kitchen with dining area, 2 double bedrooms, a bathroom with separate toilet.